Melbourne is the fashion, lifestyle and sports capital of Australia, where results matter, as they do for every dental makeover in our clinic. The Centre for Aesthetic and Implant Dentistry (CAID) is always on the cutting edge, striving to reach the full potential of every smile in terms of providing functional and aesthetic long-term results with individualised high-end smile makeover solutions in Melbourne. Makeover is sometimes used to describe a ‘quick fix’ to a cosmetic dentistry problem. Whilst a smile makeover in Melbourne can often be achieved in a reasonably short period of time, in our clinic we focus not only on ultimate results, but also on a streamlined process and lasting individualised smile solutions. As part of a dental makeover at CAID, our resident cosmetic dentists often provide intermediate aesthetic solutions prior to completing a smile makeover for the purpose of re-assessment and fine-tuning. Doing so allows us to exert the full extent of our team’s artistic ability and expertise to ensure predictable individualised results. With a reputation as one of Australia’s leading brands in dental makeovers, our experience, location in Melbourne’s East and onsite facilities enable us to provide cost-effective smile makeover solutions with cosmetic dentistry and/or dental implants. ? 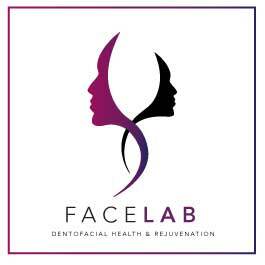 Our facility is purpose-built and a truly state of the art fully integrated dental and surgical centre for professional dental makeovers. It is easily accessible on Burwood Highway and is complemented by our team of highly experienced cosmetic dentists, implantologists, specialist anesthetists, laboratory technicians, hygienists and oral health therapists. What makes us quite unique is having an all-encompassing facility for full onsite service, which includes CT Radiology for instant diagnosis and our own operating theatres and specialist anesthetists on staff, which means we can offer the most extreme of dental makeovers by professional cosmetic dentists under sedation or sleep dentistry. We also have an on-site dental laboratory that, apart from the convenience and expedited services to our patients, allows our cosmetic dentists to closely monitor the fabrication process and implement our quality control measures to achieve the highest possible standards. Contact our clinic today on (03) 8845 5400 and find out more about smile makeovers , cosmetic dentistry, and/or dental implants packages from experienced cosmetic dentists. Would you like to know more about the All-On-4 procedure and All-On-4 Clinic, then request one of our FREE information brochure.